The Harpoon RGB Wireless uses Corsair’s proprietary 2.4GHz ‘Slipstream Wireless” technology, which has a 65-foot range and constantly looks for the best frequency to keep your connection stable. The Intelligent Frequency Shift (IFS) feature scans the wireless spectrum at 0.5ms to find the best transmission frequencies in even the most congested of networks, all of which means a sub 1ms latency. In Slipstream Wireless mode, the Harpoon will last for around 30 hours, though you can add another 10 hours to this by switching to Bluetooth mode. Turn off the RGB lighting and enable the power saving option and you could stretch its life to 60 hours—or you could just use the wired USB connection. 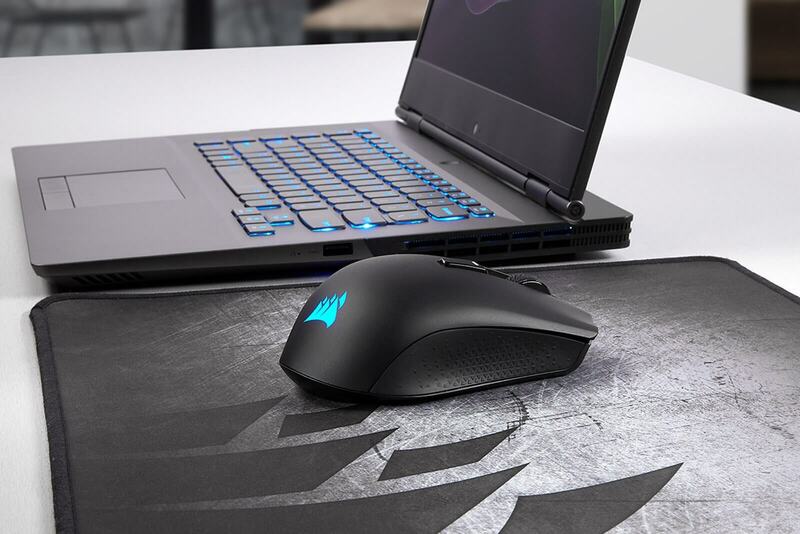 In addition to the programmable RGB lighting, the mouse comes with a 10,000DPI optical sensor, six programmable buttons, weighs 99g, and is designed for right-handers who use a claw grip. The Corsair Harpoon RGB Wireless is available now for $50. 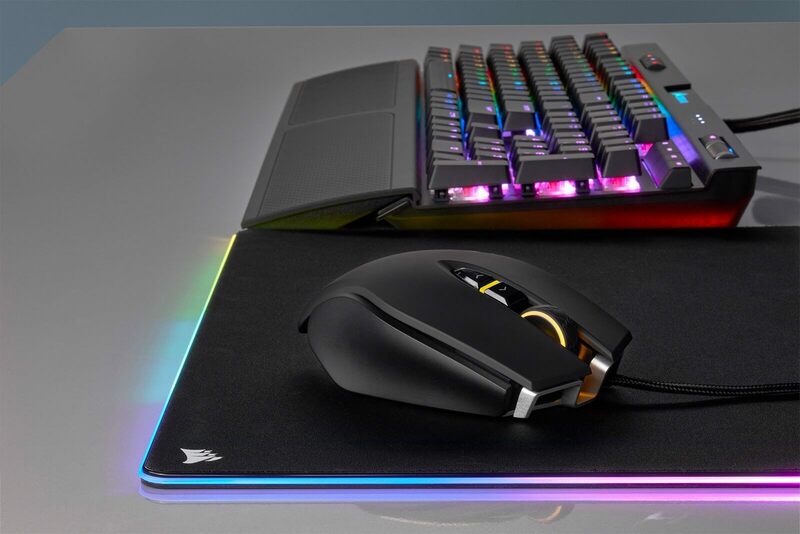 For those who prefer to stick with cabled mice, Corsair also announced the M65 RGB Elite ($59) and the Ironclaw RGB ($59), both of which use the Pixart PMW-3391 sensor that supports up to up to 18,000 DPI. The 105g Ironclaw is the larger of the two, making it more suitable for fans of the palm grip. 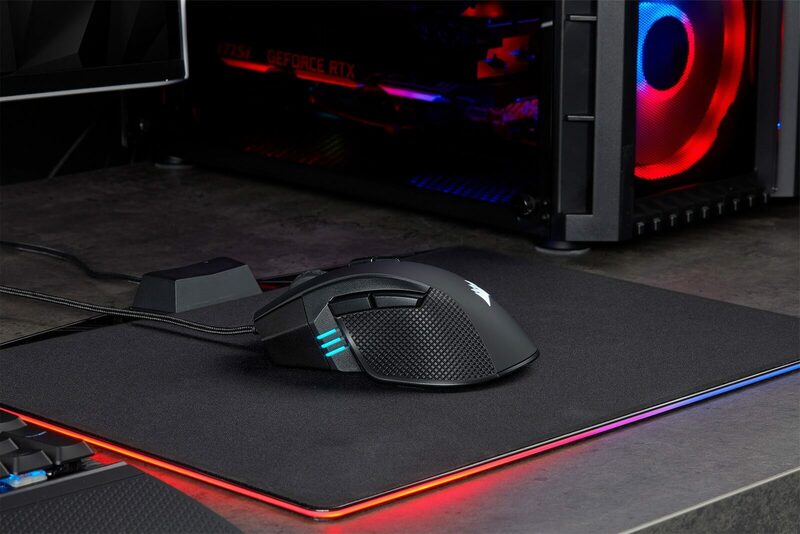 The new M65 RGB Elite, meanwhile, features adjustable weights and the same sniper button seen in other mice that acts as a DPI switcher. Bought my first rechargeable mouse last year. I have been very pleasantly surprised just how long it will go without a recharge, longer than regular batteries or rechargeable battery versions! I only wish they would use the same technology for rechargeable keyboards! I recently bought the Logitech G603 and I have to say I wouldn't consider any other wireless mice until any of them can match the battery life of the G603 (this for me is the main selling point of a wireless mouse..). Logitech's HERO sensor is really on poin regarding connectivity, latency and battery life. Why oh why do they keep putting buttons where my thumb holds the mouse?? I have returned two mice because they keep clicking when I move the mouse around. @#$@$!!! Still waiting for a wireless mouse that the battery will last a few weeks or more. I don't need gimmicky lights or shape. My fingers are thick so the plainer the better. The lighter the better for quicker response in gaming. Many years back I got Xmas money and I go to shop and bought Logitech MX700. It had dock with integrated battery charger, so whenever I stopped using PC, I used to dock the mouse. Just perfect idea. Never seen similar solution after that. That moment you realize you have been using the mouse the wrong way LOL. Hah, you mean like using your thumb to move it? All of those mentally traumatized & ragequit gamers I schooled in FPS games would like to know I guess. The logitech G Pro has a newer version of the HERO sensor in it. It can also be charged simply by sitting on a mouse mat. Imagine bed sheets, sure, you can sleep perfectly fine in $20 sheets but the $100 ones make a huge difference. Never cheap out on yourself. It's not that hard to do... thank you though for the insight that with enough time you can get used to eating with the back side of the fork. And please do let us know how different bed sheets let you sleep "better" than the rest of us. Does it make you more comfortable knowing you spent more on yours?